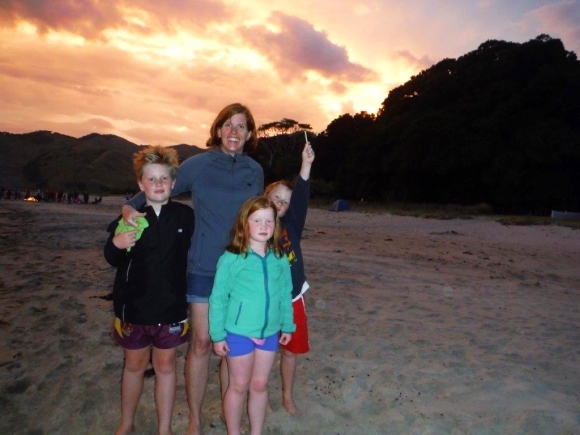 As part of our summer holiday this year we had the pleasure of visiting two very different conservation campsites, Mangawhero campsite on the southern side of Mount Ruapehu and Anaura Bay campsite on the East Coast. It was a repeat visit to Mangawhero. 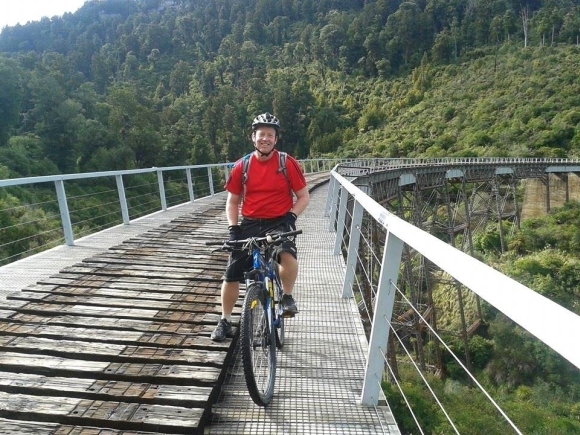 We had had a night there in July and, in beautiful weather, mountain biked the Old Coach Road, excellent fun. 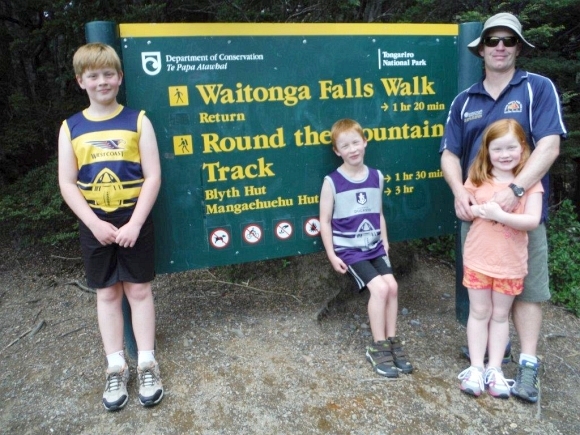 This time we took the kids on the Waitonga Falls Walk, a beautiful walk that passes through mountain beech forest and across alpine wetlands. We were lucky to have the pleasure of watching a kākā have dinner on a beech tree beside the track. 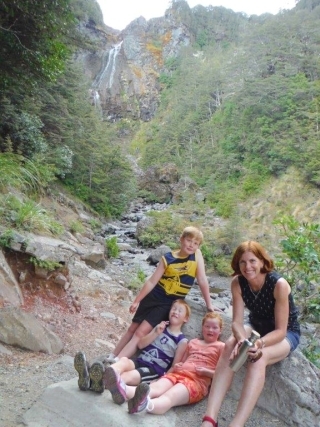 A bonus of this campsite is its close proximity to Ohakune township, we enjoyed a slap up dinner in a local restaurant before heading back to the caravan. Anaura Bay is stunning and definitely my favourite stop on the East Coast. The campsite is open from Labour Weekend until Easter Weekend and you need to be self contained (bring you own dunny). Anaura Bay is sheltered and calm making it safe for swimming. 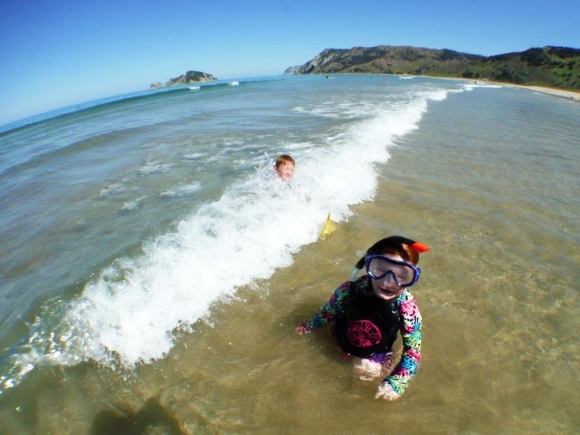 A reef at the northern end provided us with fun explorations and snorkelling opportunities. People were friendly and there was a lovely feel about the place, we will be heading back there! Now, which conservation campsite to visit next?